Birdwatching, or birding, is second nature in Siskiyou. Take a look around and you’ll see the feathered friends of the north wherever you turn. The majestic mountains and towering trees make Siskiyou a prime destination for birdwatching in California’s north. Grab some binoculars, a field guide and discover some of Siskiyou’s most fascinating wildlife in these areas. 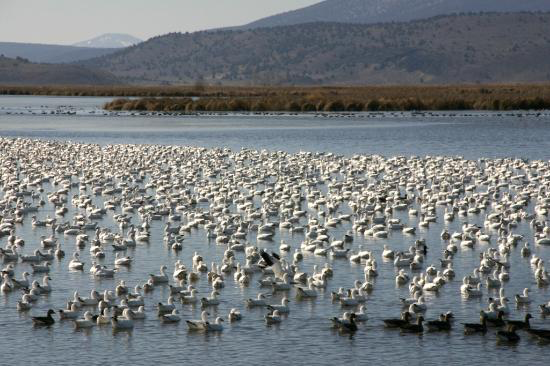 Discover eagles, raptors, swans, ducks, geese, and dozens of other species at the Lower Klamath Wildlife Refuge. It was established as the Nation’s first waterfowl refuge by President Roosevelt in 1908. The National Historic Landmark gets up to 1.8 million birds during peak waterfowl season, which represent 15 to 45 percent of total birds wintering in California. This comes as no surprise because the refuge is more than 50,000 acres of shallow marshes, open water, grassy uplands, and cropland. You could even say it’s a bird’s dream home. During winter, expect to see hundreds of bald eagles and thousands of tundra swans, among other birds. In the springtime, between 20,000 and 100,000 shorebirds use the refuge wetlands during the migration period. You’ll also get to enjoy the beautiful backdrop of Mt. Shasta to the southwest as you become a birdwatching expert. Birding can be a fun hobby, especially at one of the richest havens for wildlife, the Tule Lake Basin. Enjoy watching a wide variety of waterfowl, shorebirds, songbirds, raptors, big game, small mammals, and aquatic life here. This volcanic wonderland is home to nearly 500 species of wildlife. The Basin is an important stopover for the Pacific Flyway with four national wildlife refuges and thousands of acres of private farmlands. From November through April, hundreds of bald eagles arrive in the Basin. In the springtime, North America’s largest concentration of snow geese migrate to the area. 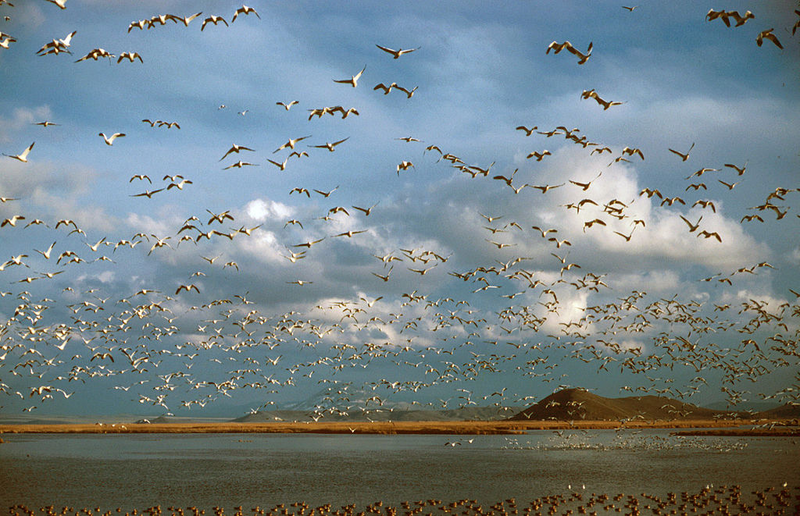 You’re bound to see some of nature’s finest species at Tule Lake. Birdwatching at Butte Valley is a breeze. The National Grassland is more than 18,000 acres of sagebrush, wheatgrass, and many other arid grasses and flowers. One of the best or maybe most challenging things about birding is trying to identify each species of birds, and here you’ll stay busy doing just that. The Grassland is home to the Swainson’s hawk, golden eagle, bald eagle, merlin, and sandhill crane. Winter residents include the red-tailed hawk, ferruginous hawk, rough-legged hawk, northern harrier, American kestrel, and prairie falcon. Nocturnal species you may get a chance to see at dawn or dusk include great horned owls, short-eared owls, and long-eared owls. Overall, Butte Valley is a great spot to see some of nature’s best wildlife. These are just a few places you can go birdwatching in Siskiyou. Just remember to take your time and let nature work its magic. Embark on an adventure in California’s north today!